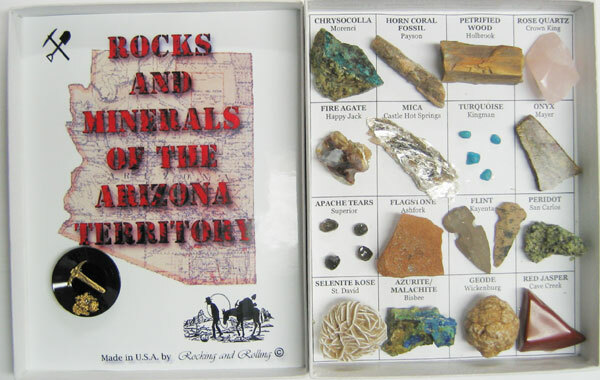 This collection features many of the various minerals and rocks that are mined in Arizona. Each highlighted rock contains a name and the location in Arizona where the rock was mined. The inner lid has been decorated with miniature mining equipment and a topographical map of Arizona, as shown above. When closed, the collection appears to be a plain box.